Posted October 26, 2016 8:44 AM by Benjamin De Maar. The car you drive is a rolling computer with a plethora of motors and sensors. How can you get more modern functionality in a car stuck in the past? There are affordable accessories and upgrades that can make your car smarter. We are going to look at three, including diagnostic adapters, Bluetooth auxiliary adapters for audio streaming and hands free calling, and lastly a look at infotainment system upgrades with Apple CarPlay and Android Auto. 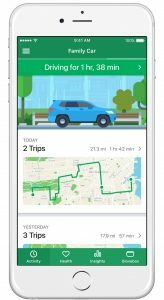 If you have a smartphone and missed part 1, it explored apps to enrich your driving experience, add convenience, and save you money. Most cars, model year 1996 and newer, have what’s called an OBD-II (On-Board Diagnostic) port. Mechanics use the OBD-II port to read the trouble codes from check engine lights and troubleshoot issues. You don’t need to be a mechanic to tap into the wealth of data this port offers and it isn’t limited to only diagnostic information. There are wireless OBD-II adapters that can sync with a smartphone app, either by Bluetooth or 3G cellular. 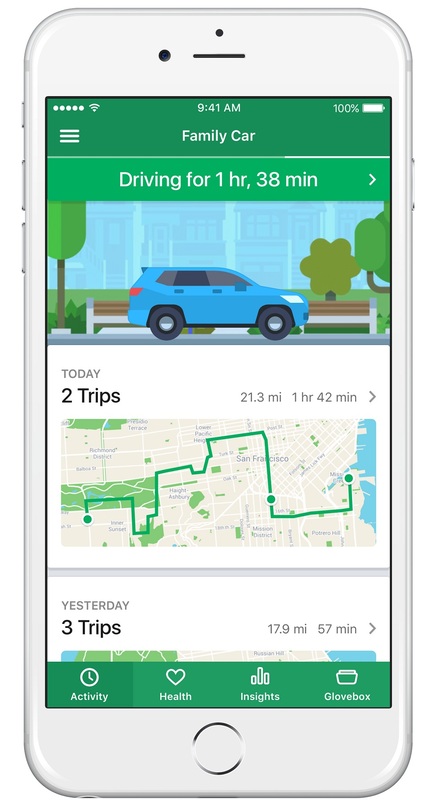 Features vary but may include view/clear check engine codes, log trips and gas fill-ups, estimate average MPG, track your driving habits, and so on. 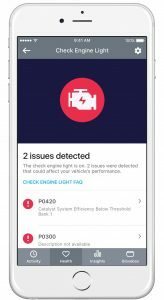 Now you can easily tell, from the check engine code, if your damaging your engine by driving or if it’s only lowering the efficiency or expelling more exhaust emissions. There are super cheap Bluetooth OBD-II adapters but unfortunately they are slow, unreliable, and can drain your car’s battery if left plugged-in. 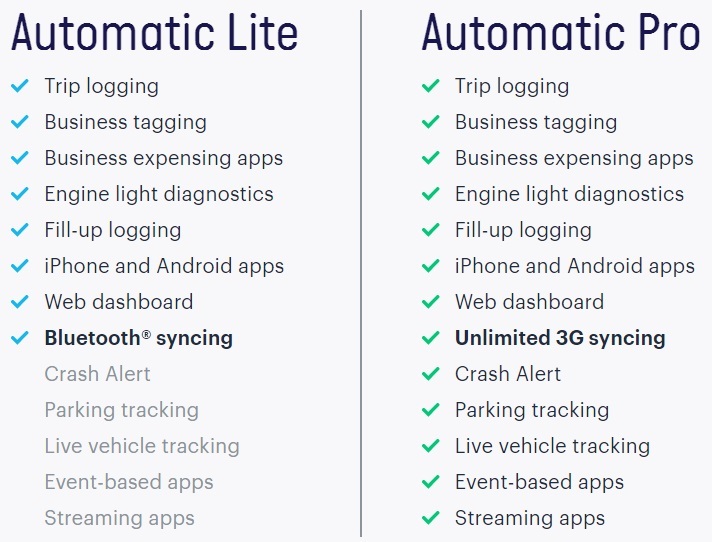 If you don’t want any of those downsides, there’s the Automatic Pro and Lite. Gain deep insight into your car’s fuel efficiency, power, and your aggressiveness. What diagnostic trouble codes has your car triggered. Can your car battery hold a charge. 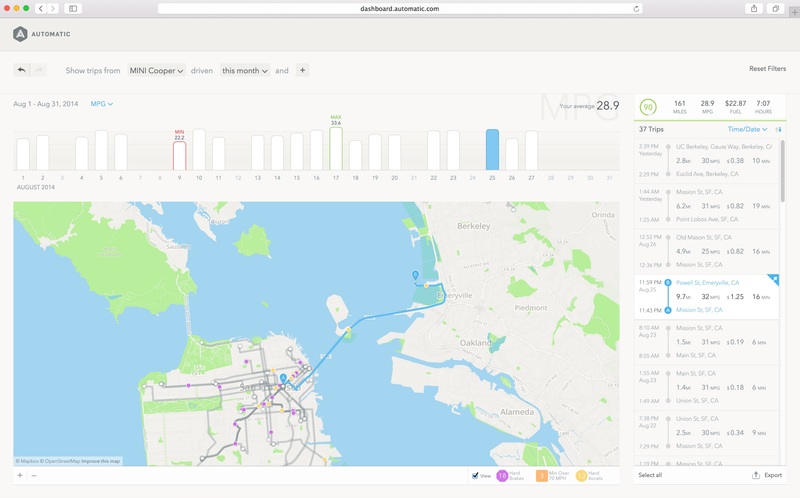 Break down your commute duration by direction, day of week and departure time. A summary of your driving (insert year). Re-live any of your past drives with Google Streeview imagery of the route stitched into a time-lapse video. Each place you’ve gone with Automatic shown as a heatmap. All of your driving ever overlaid on a minimal, nighttime map. A map of all US counties and states that you have driven to. 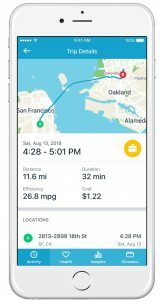 Estimate your carbon footprint, Automatically. 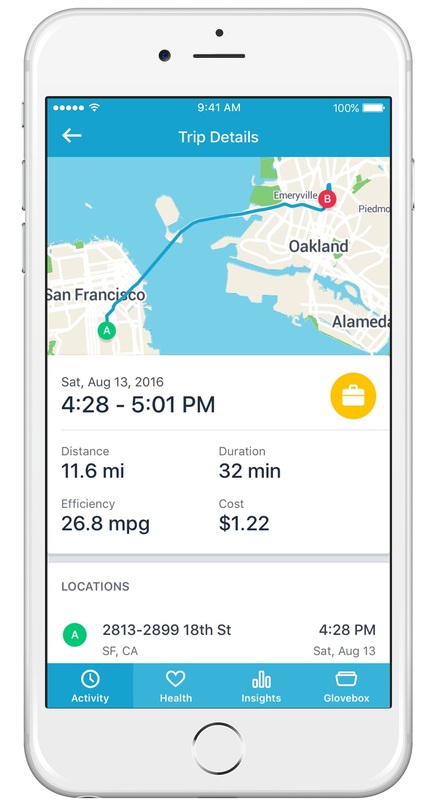 Download or print a receipt with a map for any trip you’ve taken with Automatic. Map your current patterns on top of a different city. Cars are a huge part of our everyday lives. We use them to get to school, work, store, family events, holiday parties, vacations, and so on. Why not let technology make the experience a lot better. A wireless OBD-II adapter can tell you what’s wrong with your car, log your trips and gas fill-ups, and provide a plethora of information so you can be a better driver. Your entertainment experience can be enhanced with an auxiliary Bluetooth adapter or new stereo with Apple CarPlay and Android Auto. Just imagine the amazing things the near future could hold for our cars. Self driving cars anyone! Disclaimer: These recommendations are for information purposes only. ITS does not have any contract or agreement that requires us to recommend any specific product or service. Some of the products listed require do-it-yourself installation, otherwise professional installation fees may apply. ITS does not provide support for any of these products directly. Reference the instruction manual, if available, or consult the manufacturer with any questions. Please follow any relevant laws regarding mobile phone use while driving. Keep our roads safe, don’t talk or text on your phone while driving. 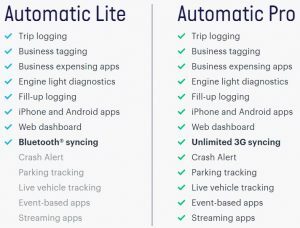 Products directly tested by ITS include the Automatic Pro/Automatic Link (of which over 2,000 trips and 33,000 miles were logged) and the Mpow Streambot One Bluetooth adapter.